Employees of various private and Government sector organizations across India are supposed to be acquainted with one term i.e. Provident Fund. They must have one PF Account which is now popularly known as UAN or Universal Account Number. Earlier it was a very complicated task to withdraw fund from this PF account. But EPFO has been really working hard for the last couple of years to ease the PF withdrawal rules or this whole process of EPF withdrawal online using your UAN. 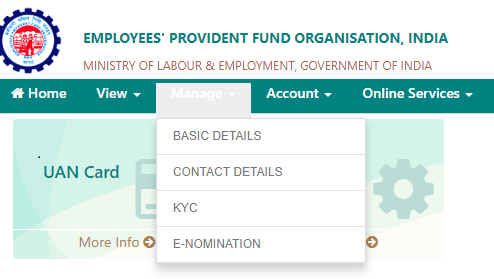 Now you can withdraw your PF balance or PF amount online from your Provident Fund Account very easily. But for this, you must have to register your UAN with the EPFO. Also, your Aadhar card Number should be linked with your UAN or PF account number, so that you can withdraw your fund with just some clicks of buttons. In this blog post, I will discuss How to withdraw PF online? How to withdraw PF online with UAN? PF online withdrawal procedure and EPF withdrawal online. ⇒ How to withdraw PF online with UAN / How to withdraw PF online? This is needless to say that this has been a continuous endeavor of EPFO Office across India to make the whole EPF withdrawal process a simplified one. 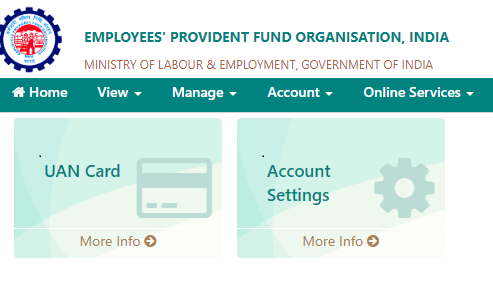 The Employees’ Provident Fund Organisation or EPFO has indeed initiated an excellent Online Service through which one can make an online application for partial withdraw, EPF balance transfer from your previous employer and even final settlement which is of great convenience. EPFO has a mission of settling these claims online within a maximum time frame of 30 days only. TDS will be applicable @10% on withdrawal over and above ₹50,000 if an employee has not completed 5 years of continuous service. 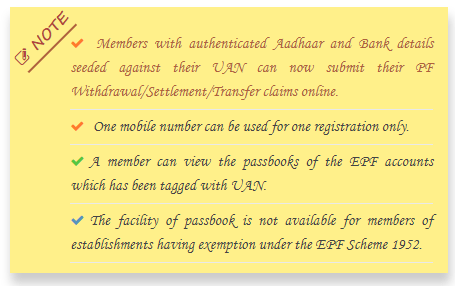 EPFO has now allowed making online claims under 4 forms namely: (a).Form-31 – For PF Partial withdrawal,(b). Form-19 – For Complete PF withdrawal and lastly (c) Form-10C – For Pension withdrawal. ⇒ How to withdraw PF online with UAN or PF online withdrawal procedure? To withdraw PF online with UAN the UAN is the key tool. So, one has to ensure that he or she is using the correct UAN number that has been allocated by the employer. 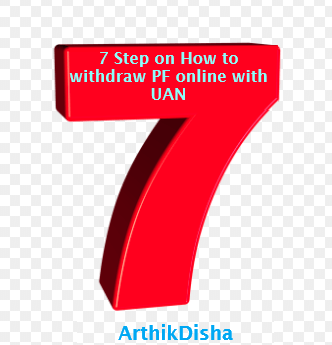 ⇒ What are the 7 easy steps for EPF withdrawal online/How to withdraw PF online with UAN? 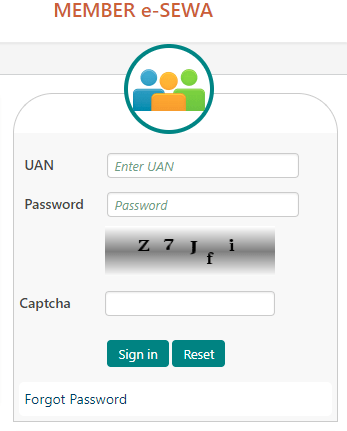 Step-1: At first, you need to visit UAN Portal and log in using your UAN and password. On clicking the Manage Tab you will have to select KYC button from the dropdown list. Step-3: Now click on the KYC Button and you would find the following screen and just ensure that PAN, Aadhar and Bank account details are verified or not. PAN is to be verified by the Income Tax department and Aadhar will be verified by your employer. This verification process is mandatory and you can not skip this else you will not be able to make EPF withdrawal claim online. Step-4: After verifying the above details, now go to Online Services Tab and from Dropdown menu click on the Claim form. Step-5: On clicking Claim (Form-31,19&10C), it will now show your relevant KYC details and then you have to verify the last 4(four) digit of your registered bank account. Once you verify it, recheck everything and click on Proceed for Online Claim button. On confirming the above Green Yes button there comes the Final step. Here, under I want to apply for , you need to select the purpose for which you want to withdraw PF amount. Finally, once you choose the purpose of withdrawal as shown above from the dropdown menu, and confirm the withdrawal process, you will get OTP in your registered mobile number instantly. Now just put in the OTP and your claim will be filed at once. You can check the status under Track Claim Section regarding your claims. ⇒How to withdraw PF online with UAN and what is the EPF Withdrawal Form? Basically, there are four types of EPF withdrawal form available and allowed by the EPFO. You need to fill up form 31if you want to withdraw partially from your PF Account. If you remain unemployed for more than one month you can withdraw 75% of your accumulated balance in your account. EPFO does allow to withdraw balance 25% of your EPF account if you are unemployed for more than two months. Though this is called PF Advance but you need not repay the advance amount for whatever purpose you have withdrawn. Also, EPFO allows 90% of the accumulated balance withdrawal before retirement but one should attain the age of 58 years or more to avail such benefit. If one wants to withdraw his accumulated balance in his Pension account(EPS) maintained by EPFO he has to fill form 10C. However, if one wants to withdraw his pension balance due to unemployment for more than 2 months, he has to fill up both form 31 and form 10c. 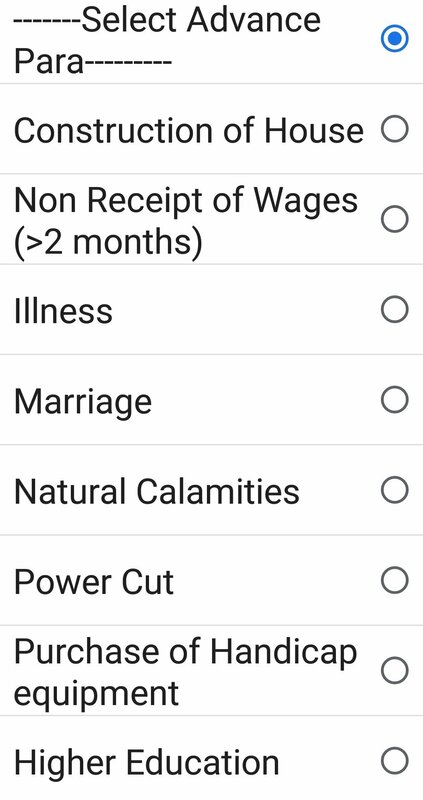 So, this form 10c is like form 31 to some extent. number and bank account details are available on the UAN Portal and UAN has been activated. Such members can submit this form directly to the concerned EPFO office, without attestation of claim form by the employers. ⇒What is the PF withdrawal rules 2018 / Reasons for which PF can be withdrawn? The following are the rules of reasons for which PF accumulated balance can be withdrawn by an employee. Loan then indicate the name in whose favour the payment has to be made. No document is required. If you follow the 7 easy steps I have mentioned above, you will get the PF amount credited to your registered bank account within 10 days to 30 days maximum. Difference between Savings and Investments.